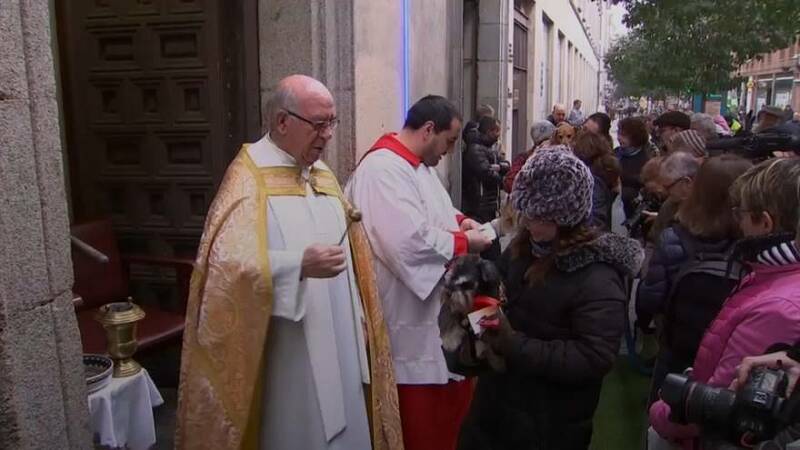 Dogs, cats and even a hamster were blessed by priests in Madrid on Thursday morning. It was to mark the Feast of Saint Anthony of Abbot, Spain's patron saint of animals. The tradition is meant to bring the animals health and protection for the coming year. A crowded annual mass also takes place on the day, where even the pets are welcome inside the church. Believers are also meant to buy bread rolls for Saint Anthony, in a festival that has been part of the Madrid calendar since the 1980s.